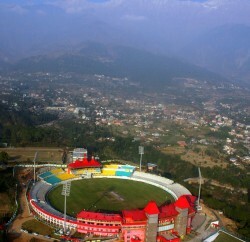 The registration of FIR against the Himachal Pradesh Cricket Association (HPCA) for the alleged illegality in leasing out of government land for constructing a luxury hotel at Dharamsala by the previous BJP led state government were taking political turn as both the BJP and Congress leaders were targeting each other on the issue. While Congress leaders are terming the registration of an FIR as a correct and legal step, HPCA members and BJP leaders are terming it as an act of political vendetta by the Congress government. Congress leader and state spokesman Deepak Sharma has demanded immediate resignation of HPCA president Anurag Thakur from the post to ensure a free and fair probe in the case. 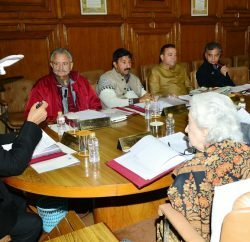 Whereas on the other hand, BJP leaders and HPCA officials have come to the Anurag Thakur and termed action against HPCA politically motivated. 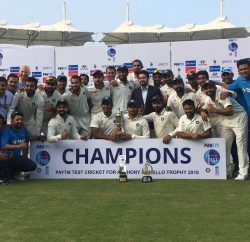 In the meantime, the two IAS officers, Deepak Sanan and RS Gupta, charge-sheeted for the grant of land lease to the HP Cricket Association (HPCA) for the construction of a hotel at Dharamsala, have filed their reply before Chief Secretary Sudripta Roy. It’s learned that both have sought the dropping of the action taken against them while claiming that neither had they violated any rule nor allowed commercial use of the land given for sports facility. Deepak Sanan was the Principal Secretary (Revenue) when the permission was given to the HPCA for the commercial use of the land and RS Gupta was Deputy Commissioner, Kangra. Both have denied any wrongdoing on their part.